Bats live everywhere except in Polar Regions and extreme deserts and rest in large social groups within caves, trees, and man-made structures like bridges. Some bat species find shelter in animal burrows, termite nests, and even flowers and giant spider webs. Responsible for pollinating trees, flowers, and cacti, bats are important because the seeds they spread help plants grow in new areas as well as keep fruits such as avocados, mangoes, peaches, dates, figs, breadfruit, and bananas thriving. Bats are also extremely vital in helping with insect control as they can eat half of their weight in insects each night they feed. Bats are an endangered species, and although may feel like a nuisance when taking residence in your home, attic, garage, or other structure, they find their way in there by accident. It’s illegal to use pesticides, poisons, or any other method to purposely kill bats. The best way to remove bats from your home is to call a professional to ensure the bats are kept safe and that you are following proper procedures. Critter Control of Southwest Florida has the expertise to safely remove and relocate any animal from your home or business. Bats should never be grabbed or handled by individuals who have not had the appropriate training. 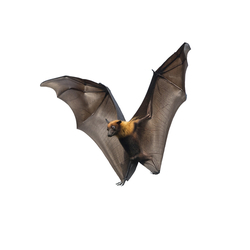 If you have noticed bats around your property or living in your attic, barn, or other parts of your home, call us at 239-731-6255 or contact us online for more information on how we will free your home of any unwanted house guests.